New! Marine Corps University Journal Vol. 9, Number 1 now available! 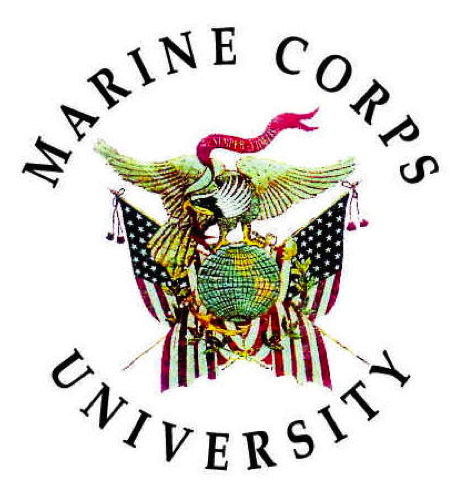 The Marine Corps University Press recently released the latest edition of its MCU Journal digital PDF format issue focusing on Training and Education in the Military. Officially launched in 2010, the MCU Journal was developed to provide a forum for interdisciplinary discussion of national security and international relations issues and how they have an impact on the Department of Defense, the Department of the Navy, and the U.S. Marine Corps directly and indirectly. The Journal devotes much of its content to the myriad aspects of educating and training military personnel in articles emphasizing institutional, pedagogical, and historical perspectives. Featured content in the issue includes, the Professional Military Education (PME) Round Table section, which looks principally at the efforts of select components within Marine Corps Training and Education Command to enhance the development of Marines through the employment of innovative instructional and career-management techniques. Articles in the current issue include: Educating an Enlisted Force That Can Win in the Future, How Senior Leader Education Supports the Warfighter, The Education of the Enlightened Soldier, Informal and Incidental Learning in the Marine Corps, plus historical perspectives such as The Cavalcade of Universal Military Training: Training and Education within the Experimental Demonstration Unit. This entry was posted on Monday, February 11th, 2019 at 12:36 pm and is filed under Department of Defense, ebooks, Military History, U.S. Marines. You can follow any responses to this entry through the RSS 2.0 feed. You can leave a response, or trackback from your own site.